Lighting is one of the most important elements that many people may ignore when thinking about decorating or revamping their living spaces. Proper lighting has a huge impact on the interior design, as it contributes to the functionality and sets the mood and design of each room. 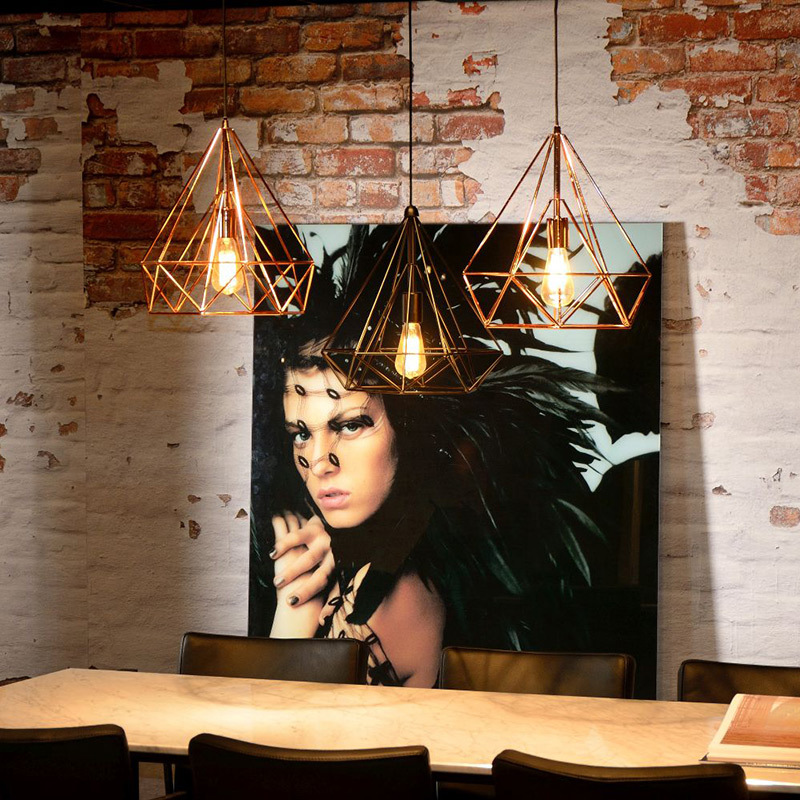 Therefore, we have gathered the major 2018 lighting trends for you to consider, offering you an inexhaustible source of inspiration. The days when a space should incorporate either gold or silver details have long been over, with more and more interior designers combining different metals, proving that the result can be elegant. 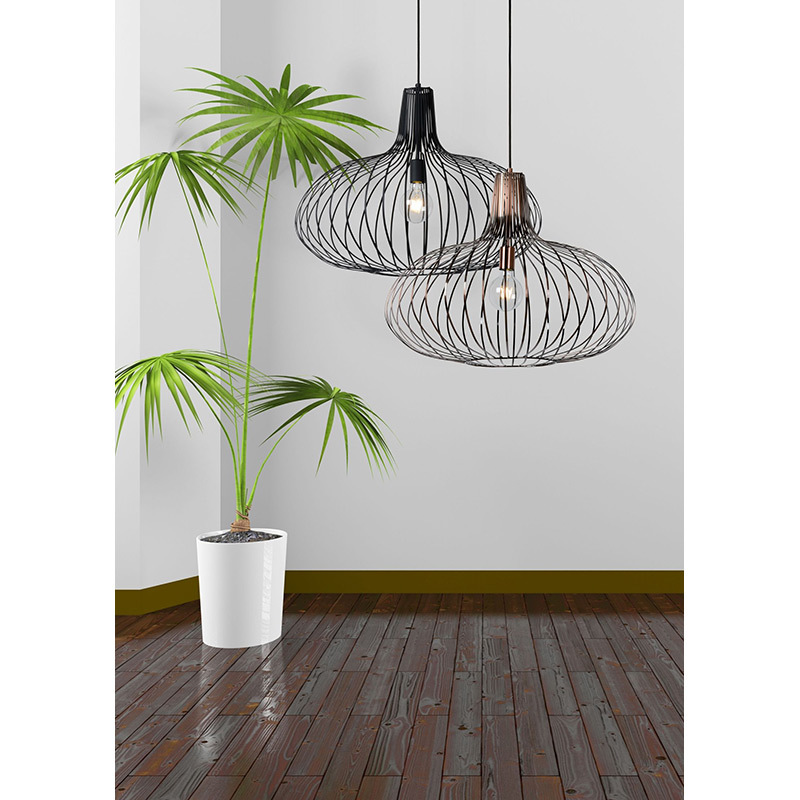 The combination of various metallic elements, whether on a single lighting fixture or within a larger design environment, is a trend that will surely monopolize interest in 2018. Metals such as gold, silver, brass, rose gold and copper can be combined harmoniously, contributing to a highly impressive result. It is important to have in mind that shades are very important when pairing lighting fixtures, as the combination must include either warm or cold colours. If the goal is to give a modern touch to a space, then cold shades are the most appropriate ones, while warm colours are ideal for a bright and welcoming environment. The texture of the lighting fixtures should also be taken into account in order to create a visually pleasing result, by experimenting with various finishes. The trend of vintage lighting fixtures with a twist that will dominate 2018, not only adds character to a space but also makes it more interesting. Using simple shapes, raw materials, metal and rustic finishes in neutral colors, the new trend also incorporates smoother materials, richer tones and modern technology. Different types of cables, such as ropes or pulleys, add visual interest, captivating the attention. 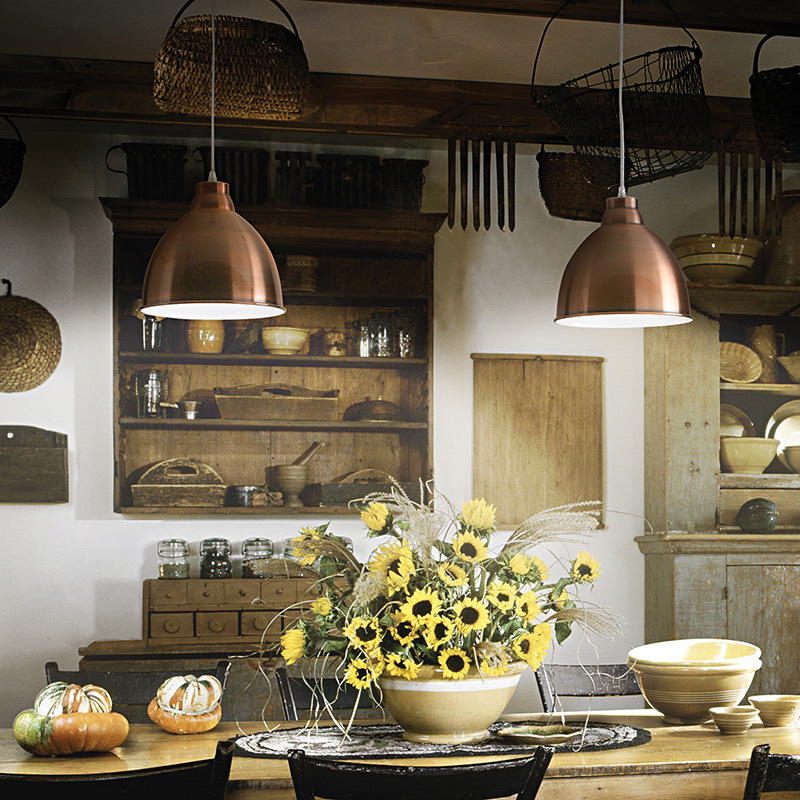 Vintage lighting fixtures are the ideal choice for wall lighting as well as for the work area of the kitchen and above the dining area, making it the statement piece of the room. This decorative art, inspired by concepts and ideas such as baroque, neo-classicism, cubism and modernism, seems to always be up-to-date, offering an incomparable style. With the emphasis being on clean lines and attractive geometric designs, art deco lighting fixtures will… illuminate 2018. Symmetry as well as the use of rich materials such as marble and brass, make art deco fixtures a bold statement combining elegance, charm and functionality. This type of lighting fixtures are the result of the attempt to create something new while drawing inspiration from the past. 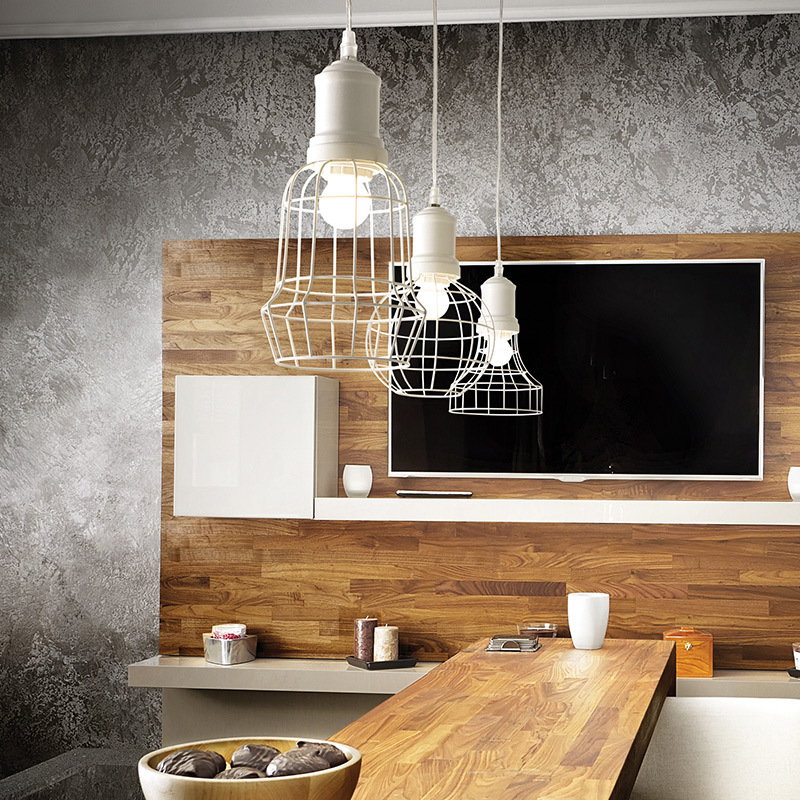 With Scandinavian touches, modern retro lighting fixtures are elegant in shape and focus on simplicity and functionality. Therefore, they are usually available in basic colors such as white, black and grey and in materials such as wood, steel, concrete, plaster and resin. Regardless of which style of lighting fixtures you choose, it is important to remember that lighting design must follow some rules to ensure functionality, by incorporating task, ambient and accent lighting. Our lighting experts can guide you through the process, offering you free ideas and tips to achieve the desired outcome.